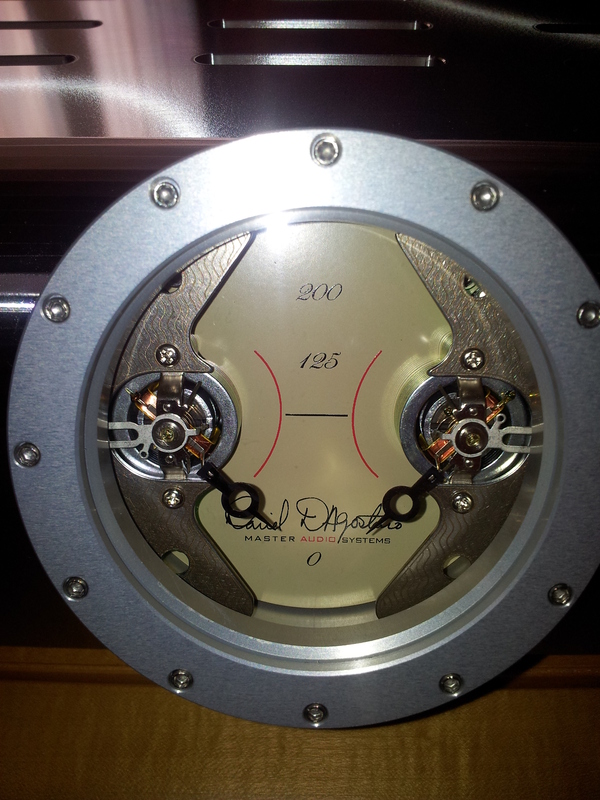 Today -three days later than expected- Dan D’Agostino’s Momentum Stereo Power Amplifier arrived in our warehouse. No time to unpack, test, listen as it had to go linea recta to Hilversum for the Sonus faber Aida and Venere show during the coming weekend. I am sure we get more pics from the unpacking at Rhapsody and will post these as the “second looks”. Well, here are the “second looks”. Starting with Richard taking a picture of Michiel taking a last picture in our warehouse. Don’t say that Michiel -for his age- is not kind of “elastic”. Look at his “position”. The other pictures are fast telephone snapshots just after the Momentum arrived, was unpacked and connected. Out of the box, it was -as the Rhapsody team stated- immediately clear that the Momentum is really something “special”. During the show for sure more pictures will become available and for sure of better quality. Wait for the “third looks”. Dit bericht werd geplaatst in Dan d'Agostino, Dealers - Revendeurs, Sonus faber en getagged met aida, audio, dan d'agostino, electronics, herman van den dungen, music, show, sonus faber, speaker. Maak dit favoriet permalink.